International Tang Soo Do Moo Duk Kwan Association a.k.a Tang Soo Karate School, Inc. and Robert Kovaleski and Eric Kovaleski. November 9, 1945 in Korea Hwang Kee named his 1st martial art school Moo Duk Kwan® and began instructing his martial art system of Hwa Soo Do, then later Tang Soo Do. June 19, 1975 the initial election results were tallied and the 1st Charter Convention for the newly created United States Tang Soo Do Moo Duk Kwan Federation® was scheduled for June 28, 1975. 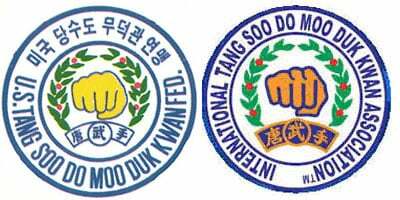 June 26 ,1976, the 501(c)(4) nonprofit United States Tang Soo Do Moo Duk Kwan Federation® was incorporated and chartered as the only U.S. entity authorized by Moo Duk Kwan® Founder Hwang Kee to use his Moo Duk Kwan® martial art school name and his Tang Soo Do / Soo Bahk Do® martial art system name and content in commerce in the United States. 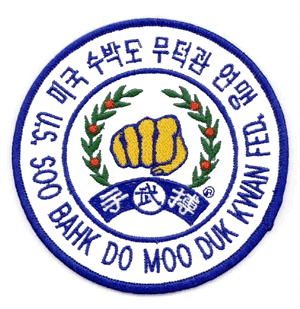 On multiple occasions since the Federation's inception, the Federation's Board of Directors have complied with its Charter provision to defend and protect from misuse the Moo Duk Kwan® name and logos associated with the established and well known reputation of Hwang Kee and the U.S. Federation. Trademark Infringers and trademark counterfeitors use confusingly similar marks in a dishonest manner calculated for their advantage. October 2001, Robert and Eric Kovaleski , a.ka. 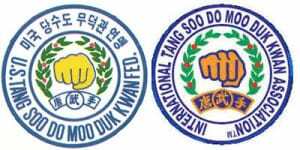 Tang Soo Karate School (incorporated in September 1995,) filed an application to trademark International Tang Soo Do Moo Duk Kwan Association and the fist logo. January 4, 2002 their application was rejected by the United States Patent and Trademark Office (USPTO) for likelihood of confusion with existing registered trademarks including the Federation’s. July 5, 2002 the Kovaleski’s application for trademark was abandoned. October 2010 multiple websites and social media bearing the name and design which had been rejected by the USPTO came to the Federation’s attention. October 29, 2010 a cease and desist notice was sent to the Kovaleskis by the Federation’s intellectual property attorney. An attorney for the Kovaleskis responded saying they needed more time to reply and then no further communication was forthcoming. This is not uncommon in these matters and typically indicates the infringing activity will eventually cease. August 16 to 23, 2011 the Kovaleskis and a group visited Korea where they formed a relationship with Korea based World Moo Duk Kwan General Federation (http://www.moodukwonkorea.org/) and unknown to the Federation at that time, the WMDKGF appointed Eric Kovaleski as USA East Coast Regional Representative on August 21,2011. November 10, 2011, but undiscovered at that time, Widmer Signs, a sign company in Scranton, PA, posted photos on Facebook of new signage bearing Federation Trademarks and indicated they were being made for the Kovaleskis in preparation for an event. In February 2012 multiple Federation members received an event solicitation from the Kovaleskis which featured the name and design previously rejected by the USPTO. Federation members reported it was confusingly similar to the Federation’s trademarks. The literature indicated that the Kovaleskis were hosting World Moo Duk Kwan General Federation representatives including Yong Duk Kim Dan Bon #2 as President and Hee Suk Choi Dan #5 as Vice President to present seminars on May 10, 2012 in Dickson City, PA.
February 29, 2012 The Federation Board of Directors met and responded to member reports and Kwan Jang Nim’s request for prompt follow-up on this serious trademark infringement. The Board approved a motion for Appointed Director Phillip Bartolacci, Sa Bom Nim to reach out to the Kovaleskis and seek an amicable resolution within a few days with the stipulation that if that failed then the Federation’s attorney would be authorized to initiate legal action. The Kovaleskis were unreceptive to that outreach. April 10, 2012 the Federation filed for a preliminary injunction in Federal court in Scranton, PA and a hearing was set for May 8, 2012. May 3, 2012 the Federation Board held an emergency meeting and authorized the Executive Administrator, Phil Duncan to appear in court with Federation counsel, Chuck Kennedy on May 8, 2012 in Scranton, PA. During the injunction hearing, additional literature published by the World Moo Duk Kwan General Federation was procured and it pronounced Yong Duk Kim Dan Bon #2 and Hee Suk Choi Dan #5 as co-founders of the Moo Duk Kwan martial art school in 1945. The Federation possesses evidence contradicting these claims including, but not limited to, photos and rank certification records issued by Hwang Kee to these men as his students (Hwang Kee's original records indicate Dan #5 for Choi Hee Suk, not Dan #3), a sworn affidavit by Yong Duk Kim#2 notarized in 1983, stating that Hwang Kee was the sole Moo Duk Kwan founder, Hee Seok Choi's resignation from the Moo Duk Kwan in 1965, s 2004 letter from Yong Duk Kim Dan #2 disavowing World Moo Duk Won organizers at that time. May 9, 2012 Federal Judge Mariani signed an order restraining the Kovaleskis from using our marks during their events May 10-12. May 10-12, 2012 the Kovaleskis complied with the court order during their events; however, the representatives from the World Moo Duk Kwan General Federation did not, but they are not parties to this USA legal action. October 16, 2014 Eric Kovaleski posted on Facebook that he had been appointed Vice President of the World Tang Soo Do General Federation, Moo Duk Kwan in Seoul, Korea. February 9th, 2015 is the trial date set by Federal Judge Mariani in Scranton, PA.
“Using” is an unspecific term that does not indicate the context of use which must be evaluated in order to determine what action, if any, is needed to protect the Federation’s intellectual property. For example, if a student attends Harvard university and obtains a degree in education and is no longer enrolled at Harvard university and they display their Harvard degree certificate on their office wall or they wear a Harvard jacket as a Harvard alumnus, are those actions harmful? Or if a Harvard university alumnus opens a tutoring center in their own name and uses their degree knowledge gained at Harvard university to tutor and teach students, is that action harmful? However, if a Harvard alumnus opens a business using the name Harvard in their business cards, advertisements, on signs, on websites, on their application forms, on patches, products, certificates, etc. and thereby suggests and represents to the public that they are associated with, endorsed by or affiliated with Harvard university without a license to do so, is their action harmful? In the latter case, Federal laws says, “yes” and provides penalties for those who use another’s trademark in a dishonest manner calculated for their own advantage. Such penalties are intended to protect the public from fraud and misrepresentation. 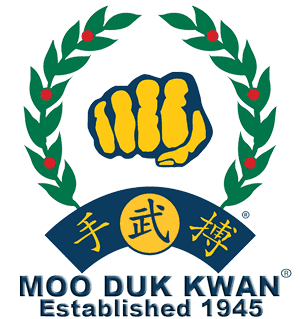 When reports are received or discoveries are made where someone else is “using” the Moo Duk Kwan® name and fist logo, the circumstances are evaluated in order to determine what, if any, action is required to protect the Federation’s intellectual property, reputation, public goodwill and other interests. Since 1976 the Federation has established a diligent history of evaluating and responding to numerous reports and discoveries of potential misuse of its intellectual property and of defending its interests as Founder Hwang Kee charged the Federation to do via provisions built into the Charter and Bylaws. Typically, unintentional infringers have voluntarily ceased their infringing activity after being notified. However, willful infringers seeking to use the Federation’s marks in a dishonest manner calculated for their advantage are not usually cooperative and some have required legal recourse in order to stop their activity. The Federation’s enforcement action outcomes and the parties involved are available through Board Directors except for those bound by a non-disclosure agreement. During the time period of gathering evidence toward trial, former Federation member and former Board Director, Dan Segarra, compiled a PDF document telling his personal opinion about a version of history that is favorable to the Kovaleski’s position and they entered his document into evidence. No, the Federation has not initiated legal action against him at this time. Students training under Moo Duk Kwan® certified instructors in Moo Duk Kwan® certified studios and learning the Soo Bahk Do® martial art system are benefiting from the Federation’s existence as are their local communities and society in general. The Federation is a nonprofit members’ organization and members' contributions, dues and fees are used to pursue the Federation’s chartered purposes including protection of intellectual property from misuse. If some Gup members do not understand what the Federation is, then unfortunately they may not have been properly oriented when they were enrolled as Federation members and/or they may not have received the 170 page Federation Member manual which explains and educates members about the Federation and the value of membership in the community of practitioners who are the Federation. The U.S. Federation cannot speak for the Korean Federation. The U.S. Federation is defending and protecting U.S. rights. 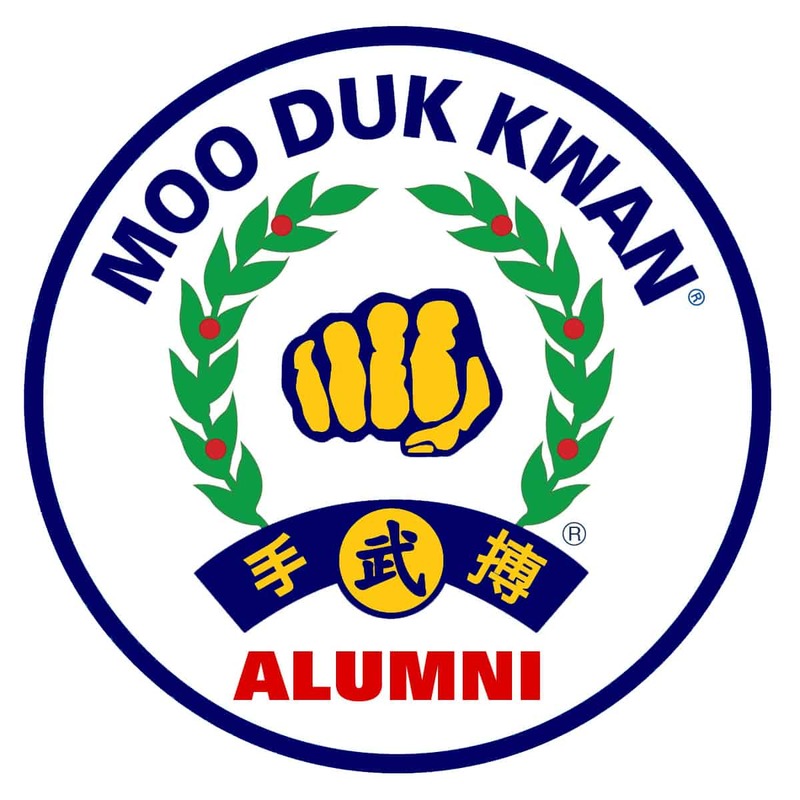 The reputation of every legitimate Moo Duk Kwan® alumnus and every certified instructor and studio is diminished by the distribution of counterfeit rank certificates, products, etc. bearing the Federation’s trademarks. The identity of the Federation as represented by its trademarks is an important asset for the organization and the art. The reputation and value associated with well known brand names and logos are why unscrupulous individuals attempt to use them for their own advantage without a license from the owner. Will you care if a competitor opens a school near you and advertises that they are a Moo Duk Kwan® martial art school and they say they provide the same Soo Bahk Do® training experience and the same rank certifications as you do? Defending and protecting that which belongs to one is not “picking a fight.” Observers who characterize a defensive response against bullying, trespassing, rights encroachment, etc. as “picking a fight” or “makes us look bad,” may not have adequate information to understand what transpired and resulted in the incident they are judging. This document provides relevant information that may help inform and educate interested parties about this case. First, the Federation’s charter requires members to protect and defend the organization’s intellectual property. Second, since 1976 Federation members have invested heavily in trademarks and service marks to exclusively identify the Federation as the singular source of services and products which meet the high quality standards of excellence that Founder Hwang Kee charged the Federation to adhere to. Third, a unique identity is crucial to the long-term preservation of Founder Hwang Kee’s legacy so that it can be distinguished from imitators. Trademarks and service marks represent the source of products and services to the public and they provide assurances to the public that those employing them in commerce are legitimately certified school owners, instructors and students who have received rigorous, authentic training and education about the requirements, standards, attributes and characteristics expected in Moo Duk Kwan® martial art schools and thus make training in the Soo Bahk Do® martial art system unlike any other. 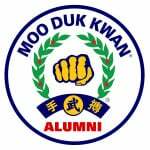 If you are a Moo Duk Kwan® Member or Alumni who cares about the authenticity and legitimacy of your lineage, please help us preserve it. Click to become a Moo Duk Kwan® Preservationist and be named in Hwang Kee's autobiography.